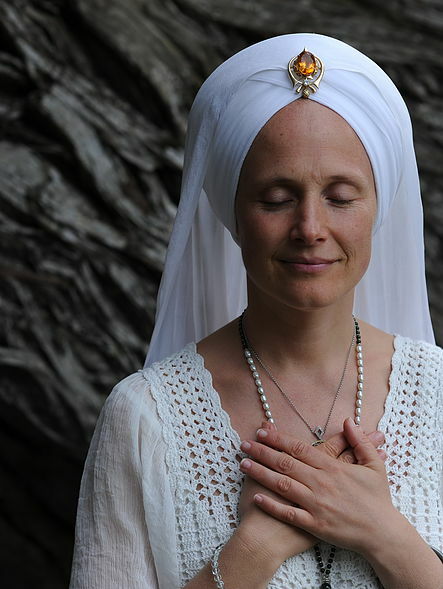 Snatam Kaur is an American singer and peace activist raised in the Sikh and Kundalini Yoga tradition. She has an amazing ability to transform traditional Sikh chants of India into a contemporary sound that appeals to the modern ear and awakens an ancient yearning in the soul. For over thirty years, she studied with and grew up in the presence of her spiritual teacher, Yogi Bhajan, while he was in his physical form, learning the essence of Naad Yoga, a form of yoga focusing on sacred sound. At the core of this practice is an essential experience of peace and healing, which has helped her music to be accessible to people of all walks of life. She has taught and shared Naad Yoga and Kundalini Yoga and meditation through her recorded CDs, concerts, and workshops for the past fifteen years, as a part of her commitment to give people tools for a daily experience of inner peace.